Tony has over 15 years’ experience as a growth strategist in key roles including Chief Marketing Officer and General Manager. He has worked across a range of industries (mining, automotive, electronics, manufacturing, IT, professional services) from innovative startups to international corporations including BHP Billiton, Ford and Pioneer. What all his clients have in common is the drive to be world class in their field. With experience spanning core business functions of marketing and sales, systems, logistics, HR, finance and technology, Tony is well equipped to manage the complexity of a wide range of business challenges. He has a knack for translating complex concepts into simple messages for clients’ target markets, and simple processes for employees. These attributes align for Tony to work well with entrepreneurs. Whatever his client’s business is, Tony’s focus is on results. 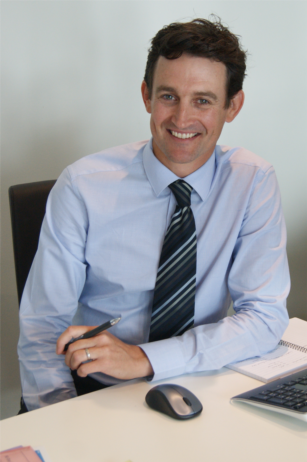 Prior to joining Tenfold, Tony held senior management positions with non-negotiable targets for achieving growth. Adopting the philosophy that “nothing changes if nothing changes”, Tony has made bold strategic choices for the purpose of achieving growth. As the National Marketing Manager for a global electronics corporation, Tony revamped the brand’s strategic direction with a focus on digital capability. He implemented strategies for logistics, distribution, digital marketing and sales programs, which achieved the #1 position of sales per capita for every product in the brand suite. Tony is professionally qualified, with a Bachelor of Engineering and a Graduate Certificate, Entrepreneurship and Innovation.